This weekend, we witnessed unimaginable suffering. More than 70 people were killed in a suspected chemical attack in Syria. In Canada, a crash involving a junior ice hockey team killed at least 14 people. Young lives, innocent lives, have been taken from us in the most tragic of circumstances. Let us pray for all those who have lost their lives. Let us pray for the parents, the families, and all those who mourn at this time. And let us pray for the end of violence, the end of suffering; and let us pray for peace for all sentient beings. In the last few years, we have witnessed the passing of many eminent masters. 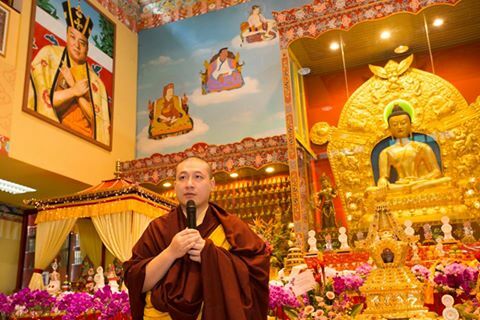 Reflecting on this, Thaye Dorje, His Holiness the 17th Gyalwa Karmapa, offers a teaching on the power and significance of great beings passing into parinirvana. Not even a Buddha can escape death. Our common perception might be that enlightened beings have in some way overcome death. However, this would be a misunderstanding of what it means to be an awakened being. This is largely because we identify and misinterpret death as the end of things: a state of sleep that one can’t be woken up from. In Buddhism, every aspect of existence, be it birth, life or death, is celebrated and valued equally. Therefore, as Buddhist practitioners, we fully dedicate our body, speech and mind to the practices of listening, contemplation and meditation, in order to recognize with full awareness the stages of birth, life and death as both natural and interdependent. Most often, our restlessness, confusion and panic originates from not knowing that birth, ageing, falling ill and death are the most natural parts of life. Due to this not knowing – meaning not accepting these parts of life as natural – contractions are caused, for example: to fear living so much that one looks at living as unnatural and looks at death as an escape from living. Similarly, at times, fearing death so much that one has an unnatural perspective towards living, and therefore one tries to find all kinds of ways to prolong one’s essentially fleeting life. Until this acceptance is initiated, the inevitable tomorrows of birth, ageing, falling ill and death, the tomorrows of living and dying, cause endless panic. When Buddha Shakyamuni (563-483 BCE) attained the fully enlightened state under the Bodhi tree, for the first time in his life he saw that these stages of existence weren’t as frightful and disturbing as he had imagined. His misguided assessment of birth, living and death had driven him to escape from his princely life, and to search for some kind of elusive elixir. The elixir he finally discovered was to simply let things be. This was the peace he had been searching for when he renounced his life in luxury. He saw that when causes and conditions gather, there is nothing one could do to change the results. The only meaningful thing that can be done is to let things be. Therefore, after he attained enlightenment, every aspect of his life was a message of how to let things be, how to live, and how to die. Just because he was the Buddha doesn’t mean that he conformed with our concept of a perfect being. There were times during his life when he and his entourage experienced hunger, sickness and even physical injuries. But those didn’t disturb his peace or shake his wisdom. When the inevitable end of his life came, he entered peacefully into the passage of death. He died without being affected by any anxieties, without any fear or panic, because he understood that what he was experiencing was the most natural way of things, and there was nothing wrong about it. I believe that this is one of the greatest teachings ever. Yes, one of the greatest teachings comes when a great being dies. 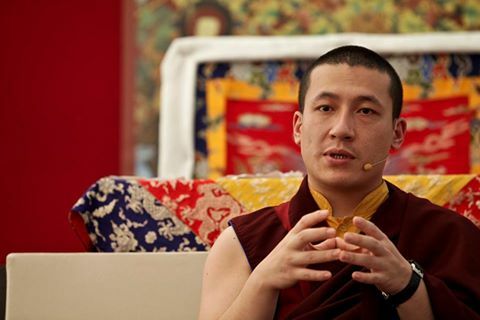 It might even be far more powerful, condensed, direct and simple than all of the 84,000 teachings of the Buddha and the three turnings of the Dharma Wheel. The departure of a Buddha or great being can help us realize that everything is impermanent. This teaching has the potency to shake us and awaken us from the daily dream of permanence, which is otherwise so difficult to wake up from. Therefore, to be present when a great being is dying – untainted by our usual perspective on the concept of death – until his or her cremation, can be a teaching of immense value for our own spiritual path during life and death. All of us are very, very mature. We should feel great in some ways, pat ourselves on the back, and rejoice because we have matured. If we hadn’t matured, we would not have this precious human rebirth. This human rebirth is a proof that we have matured, not just for one time or two times or even hundred times. Reaching a human rebirth takes hundreds and thousands of lifetimes of efforts – all forms of generosity, ethics, everything. So therefore we have been matured for a long, long time and this is the result. With the practice of compassion, it will enhance what we have already matured, what we have already developed over time. spirituality that somehow keeps the world in balance, helping us not to put too much emphasis on the material world.